Even from the outside, the Winter Palace of St. Petersburg is an imposing building, painted in a mint green that looks resplendent under both the blue skies of summer and amid the deep, white snow of winter. Having been home to the Russian Emperors from 1732 to 1917, the Winter Palace now houses the Russian State Hermitage Museum, which is the second-largest museum in the world. Whether you're looking for practical advice about visiting this must-see St. Petersburg attraction, or simply want to learn more about the Hermitage Museum for the sake of your own curiosity, you'll want to continue reading this Hermitage Museum Guide. Esoterically, the Hermitage Museum is one of the most important cultural monuments in all of Russia. In addition to being housed in the former royal palace, the Russian State Hermitage Museum is home to the largest collection of both Russian and foreign art in the Russian Federation. Whether you stay for one day, two days or longer, there are few other places in the world where you can expand your mind under one roof. Of course, there are practical reasons to visit the Hermitage Museum as well. St. Petersburg is bitterly cold for more than half the year, and is relatively rainy during the other parts of the year. A visit to the Hermitage Museum is an escape from the elements, regardless of how its contents end up moving you. Finally, the Hermitage Museum sits at the center of St. Petersburg attractions like Vasilevsky Island, St. Isaac's Cathedral and the Church of Our Savior on Spilled Blood. Opening hours: The State Hermitage Museum opens at 10:30 a.m. Tuesday through Sunday, and closes at 6 p.m. on all days except Wednesday and Friday, when it closes at 9 p.m. Ticket price: Tickets to the State Hermitage Museum cost between 300-700 Russian rubles, except on the third Thursday of every month, when admission is free. 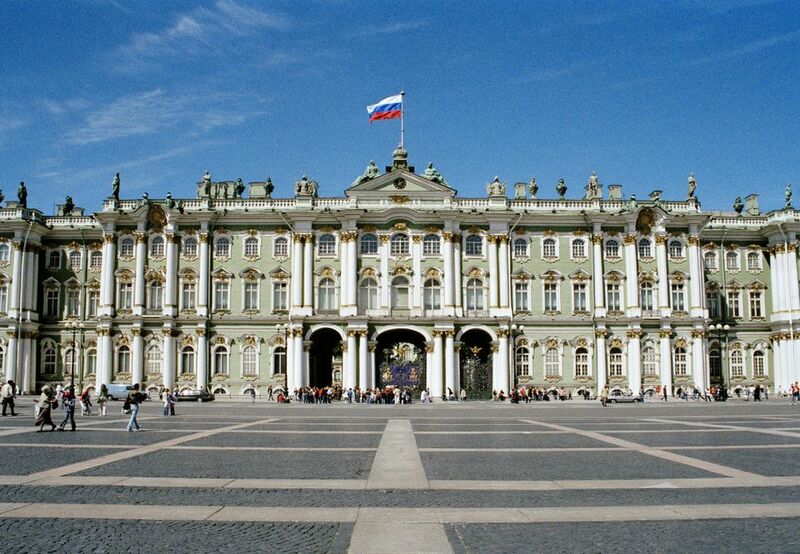 Access: Located at the western end of St. Petersburg's main Nevsky Prospekt Avenue, the Hermitage Museum is accessible on foot from most hotels and attractions within central St. Petersburg. Alternatively, buses run from all of St. Petersburg's railway stations to the museum. Additionally, dozens of limited exhibitions rotate through the Hermitage Museum every year. No matter how well you think you know the Hermitage Museum guide, there's always something new to surprise and delight! You can obviously buy tickets to the Hermitage Museum, which cost between 300-700 rubles, at the entrance as you would at any other museum. If your trip to St. Petersburg falls within the busy months of May through September, however, it is a good idea to buy tickets in advance online. Two types of tickets are available: A one-day ticket that allows you entrance to the main complex; or a two-day ticket that allows you entrance to any of the museums run by the Hermitage in St. Petersburg. Advance purchase tickets include the fee required to use cameras or video equipment. You will be sent a voucher that you will exchange for a ticket (when you show proof of identity, so bring your passport or other photo ID with you) to enter the museum. If you would like to take a guided tour of the museum, check for tour times in advance with the Tour Bureau of the Hermitage. The museum has pre-scheduled tours in many different languages. While a tour is not required for a general visit to the museum, it is obligatory if you wish to view the Treasure Gallery. Also keep in mind that the State Hermitage Museum sometimes makes rooms unavailable to the public for maintenance. If you are concerned about missing something you had hoped to see, you can check for this information on the Hermitage's website schedule of closings. The website also offers a calendar of events and exhibitions which may help you plan your visit.